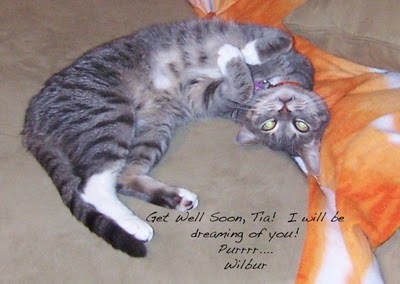 My feline gal pal, Tia, is sick and in the hospital. Tomorrow is her birthday, so I hope she gets better very soon! I thought maybe she needed some company in her hospital cage, so I put together a pin-up of my handsome self and pawtographed it just for her. Tia, I can't wait for you to be back blogging soon!